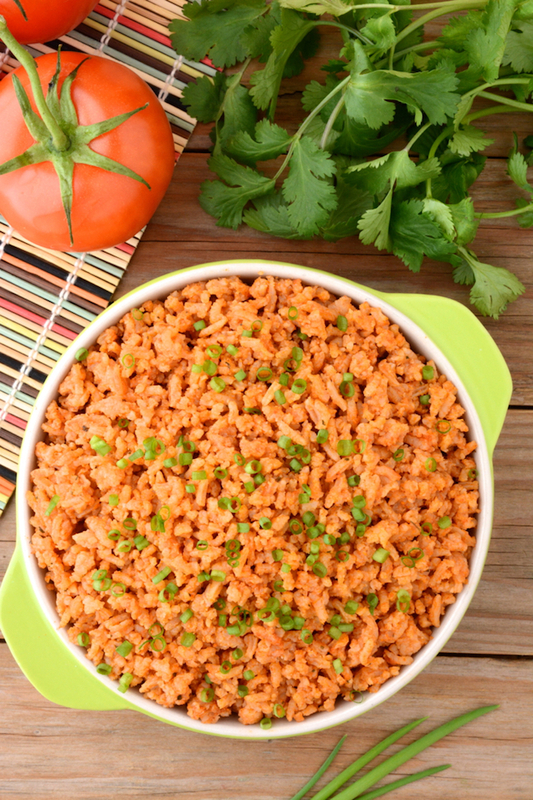 Easy Instant Pot Spanish Rice is quick to toss together. It’s seasoned with spices which means there’s no chopping involved! So enjoy some ‘restaurant-style’ rice tonight! When I used to frequent restaurants, my favorite stop would be a little taco joint near the house. They had the best rice ever! So it’s been a long time since I’ve had authentic tasting Spanish rice! 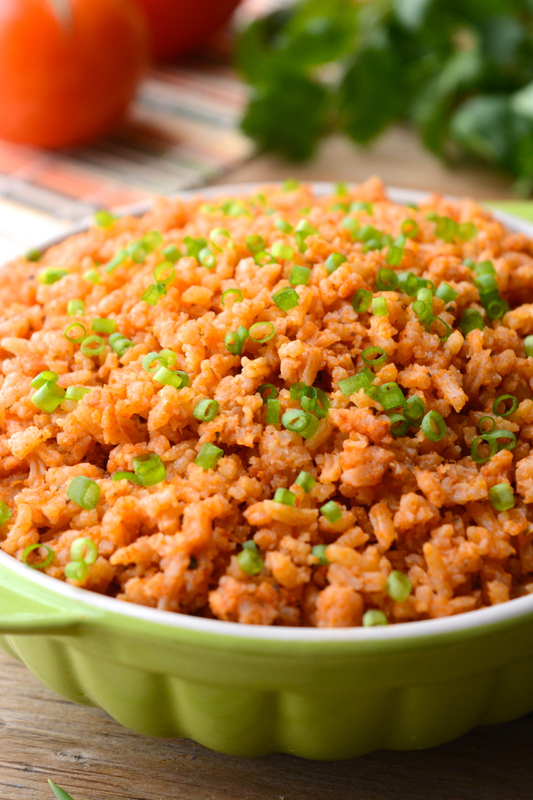 Recently, I wanted to start making my own Spanish rice that was just as tasty as my favorite restaurant. 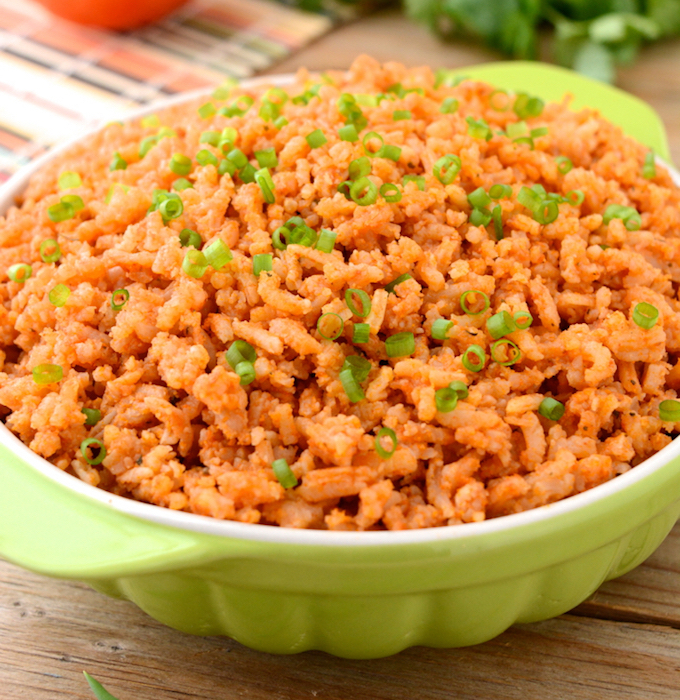 So a few years back I created this Easy Spanish Rice recipe, which soon became lost in my recipe archives. Luckily, I came across it again and revised it for the Instant Pot creating this Instant pot Spanish Rice. This rice is so easy to whip up in the Instant-Pot. In fact it’s my favorite way to make rice! But I’ve also include stovetop instructions if you don’t own an IP. To start, you’ll want to gather your ingredients first since it will come together so quickly. Press the sauté feature on the IP then add the oil. Once the oil is melted add in the rice and 1 teaspoon onion granules and stir constantly. The onion will brown fast which will add flavor to the rice. Continue to sauté until the rice begins to brown. Once the rice begins to brown, mix in the tomato sauce and seasonings and water. Give it one final mix, seal the lid and set it for 10 minutes on high pressure. Allow it to naturally release pressure. Some of the greens and tomato sauce will have set on top so you’ll want to give the rice a mix. If the rice is a bit too sticky leave the lid open to allow the steam to continue to escape. Otherwise it’s ready to eat! Now dig in and imagine yourself sitting in that small darkened restaurant with Mariachi music softly playing in the background. Because that’s the feeling this rice will give you! Pair this easy Spanish rice with my 20 minute Vegan Tacos and you’ve got yourself one amazing meal in about 30 minutes! 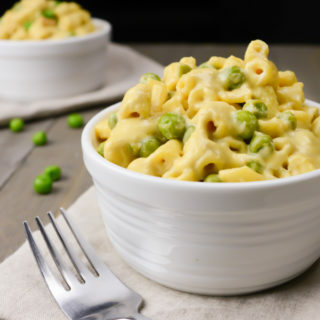 If you make this recipe, be sure to snap a photo and share it on Pinterest. We love to see your creations! You can also find us on Facebook @WhereYouGetYourProtein. 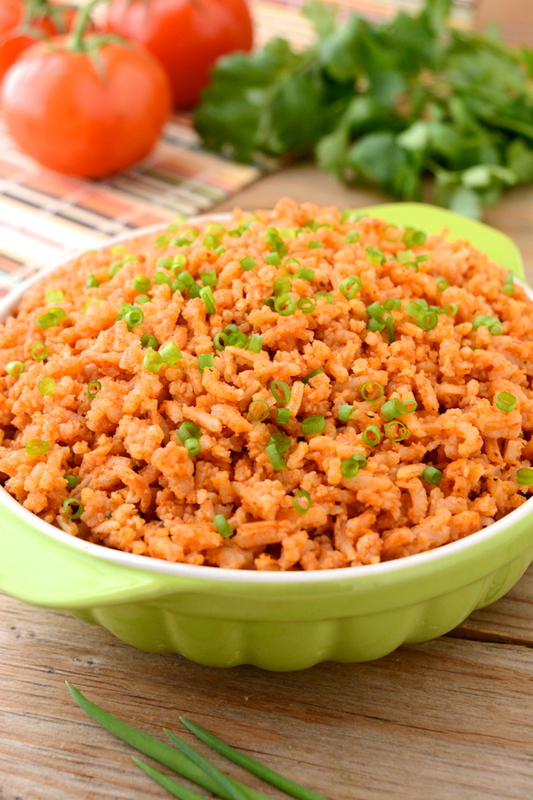 Easy Spanish Rice is seasoned with spices which means there's no chopping! Enjoy some ‘Restaurant-Style’ rice tonight! Start by mixing the seasonings in a small bowl and gathering the remaining ingredients. You’ll want to have all the ingredients near by. Add the oil to your Instant-Pot and set it to sauté. Once the oil is heated, add in the rice and one teaspoon of onion granules. Sauté until it the rice begins to brown, frequently stir the rice to keep it from burning. 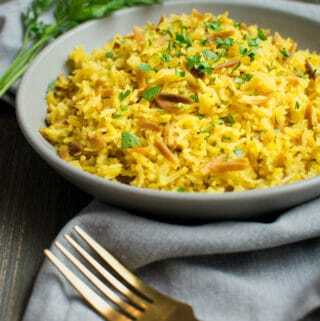 Once the rice has browned a bit carefully mix in the remaining ingredients– seasonings, tomato sauce and water. Now press manual on the instant-pot and set it for 10 minutes on high pressure. Once the rice is fully cooked, allow the Instant-Pot to naturally release pressure. Carefully open the lid and give the rice a mix before serving. Start by mixing the seasonings in a small bowl and gathering the remaining ingredients. You’ll want to have everything within reach. 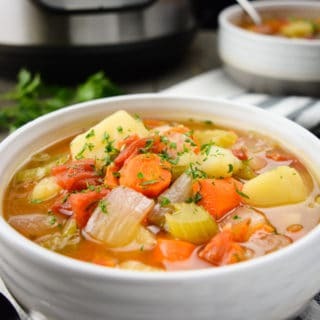 Reduce the heat, cover and allow to simmer for about 20 minutes or until the liquid is fully absorbed. Once the liquid has been absorbed, carefully open the lid and give the rice a mix before serving. *Generously measure the seasonings for extra flavor. What do you mean by onion granules? Is that the dried diced onions or the ground onion powder? Thanks!